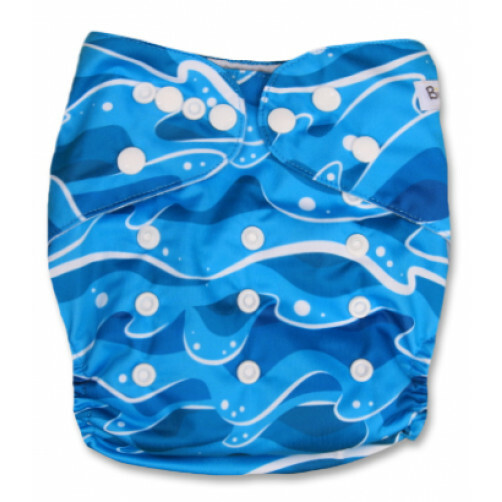 PUL waterproof covers lock moisture in - but still allow airflow to keep the skin healthy. 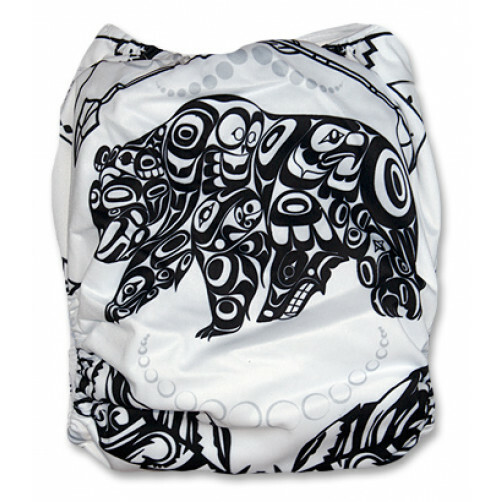 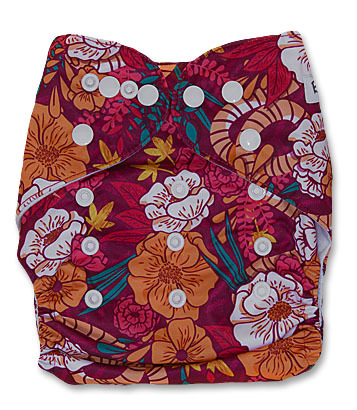 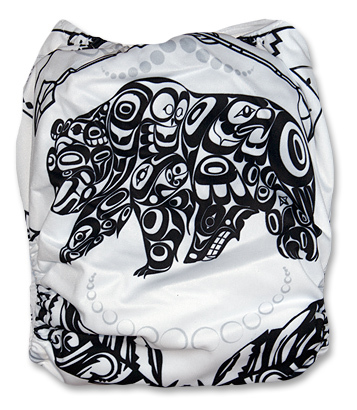 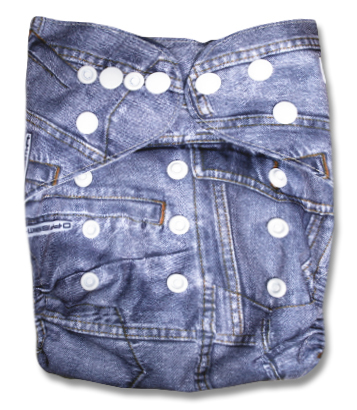 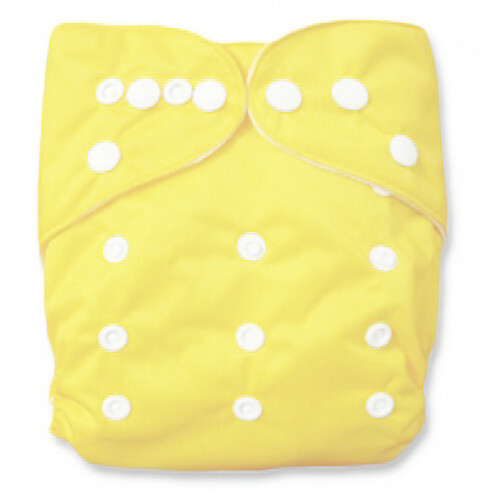 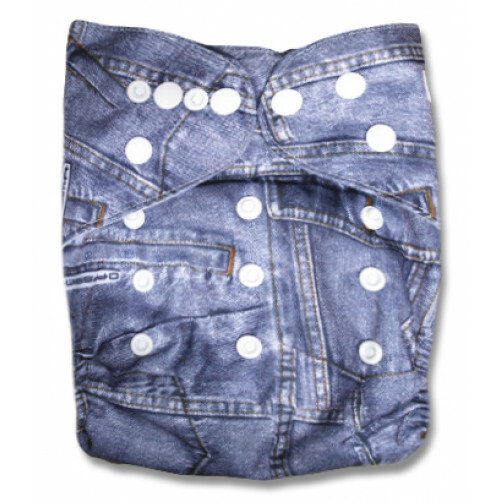 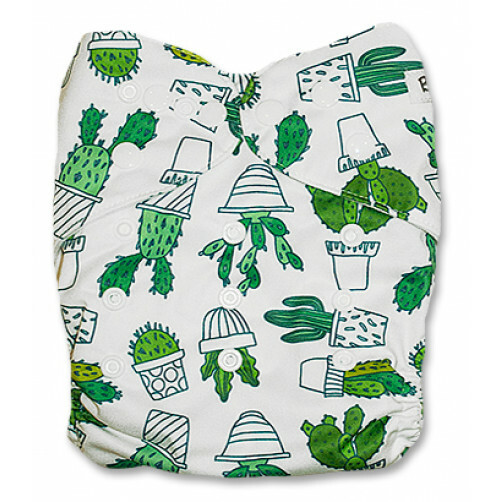 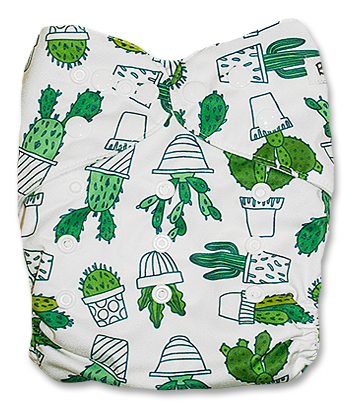 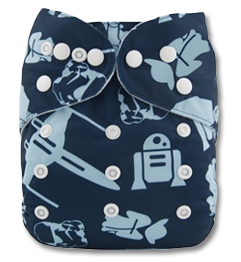 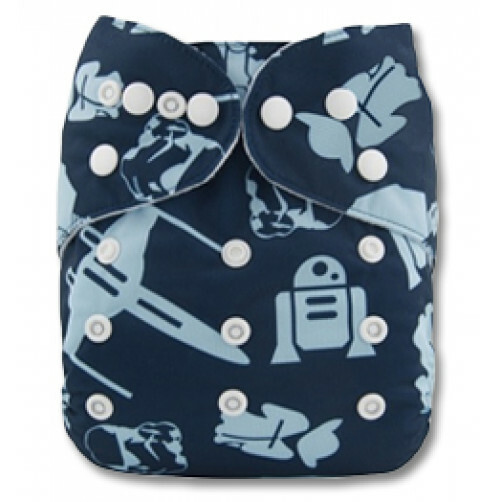 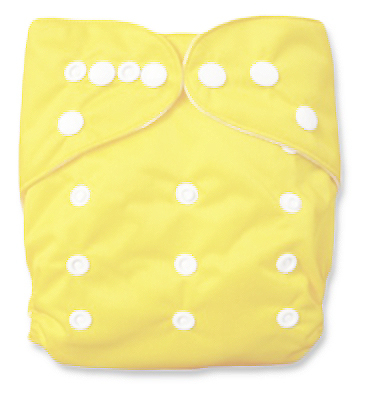 These covers basically completely wrap around the other absorbent layers, and around baby's bum, locking everything in. 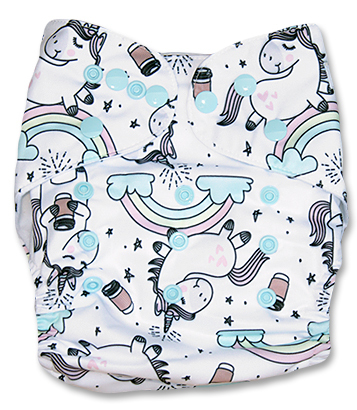 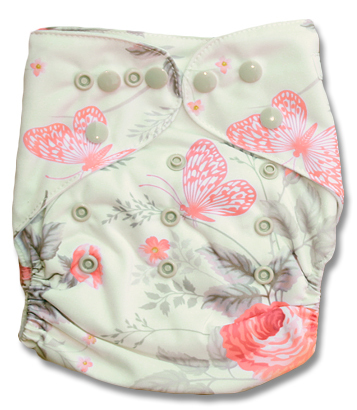 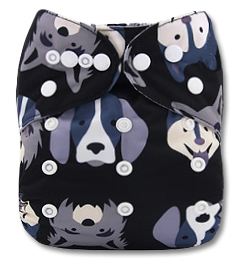 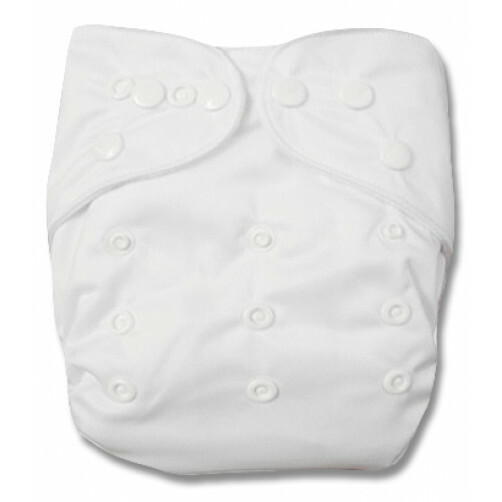 There is no lining sewn onto the inside of the nappy - as is the case with pocket/sleeve nappies. 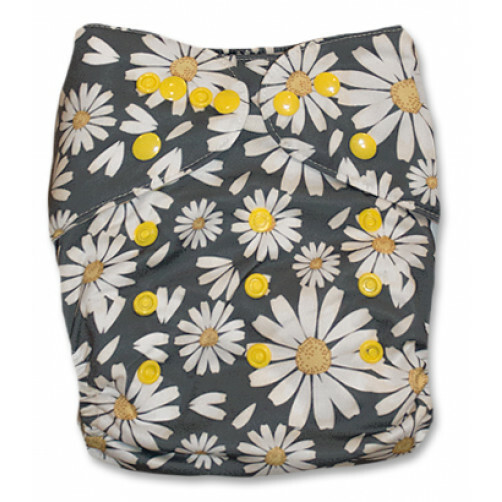 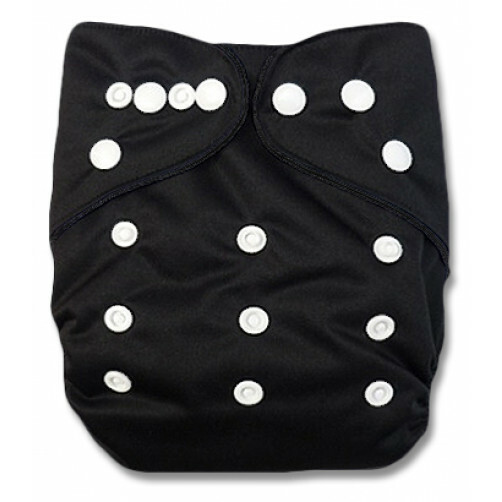 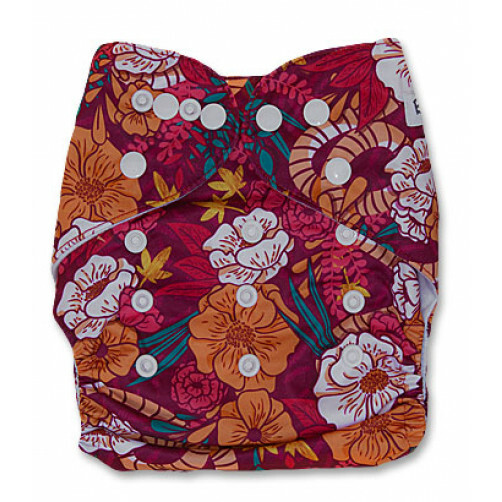 In our view, PUL covers are excellent for use with fitted nappies and flats/trifolds/prefolds that completely wrap around the little one's bum. 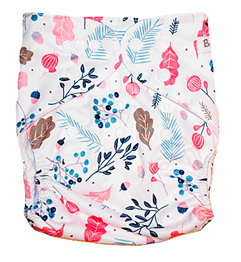 Covers are not ideal for use with loose inserts. 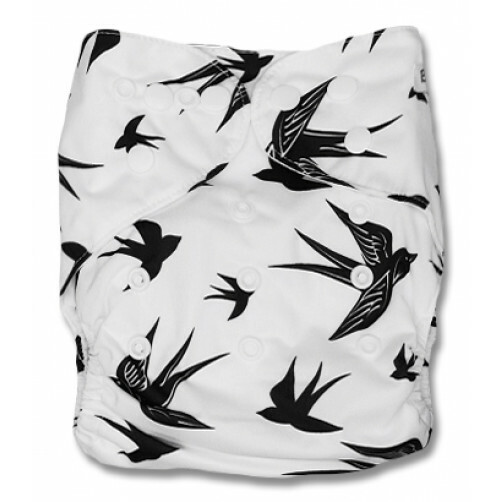 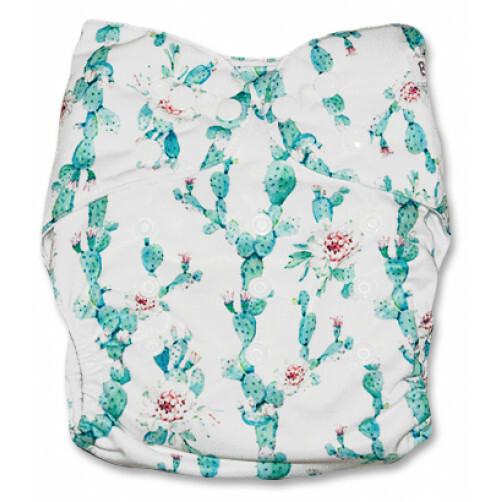 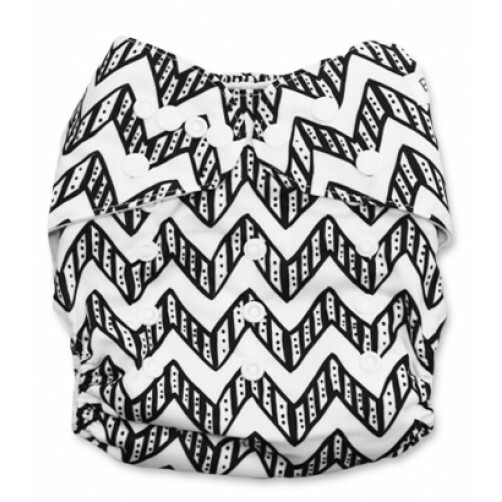 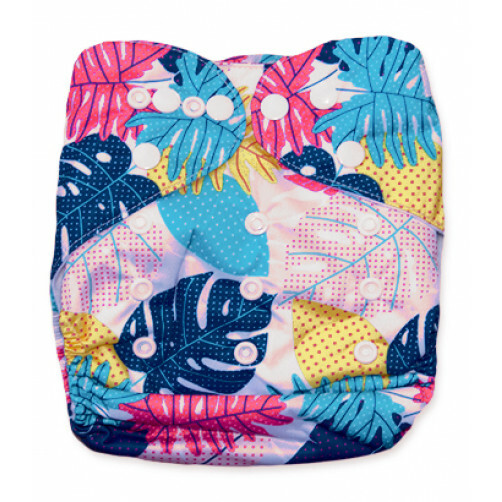 Although some moms do use covers with loose inserts, which is probably the most cost effective way to use cloth nappies, most moms quickly become frustrated as the little one gets a bit older and starts moving around more (wriggling) during the nappy change. 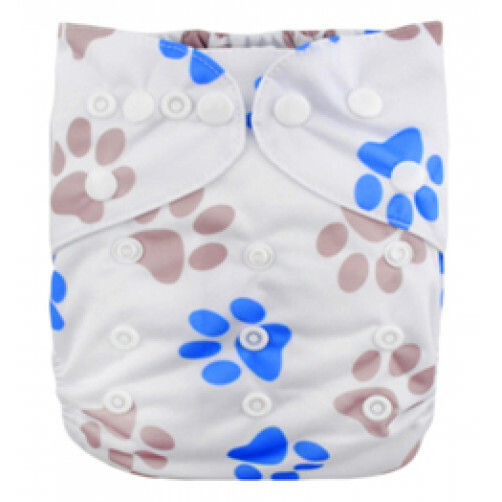 Not only does it make it more difficult to fit the nappy, the loose inserts can easily get bunched up resulting in leaks. 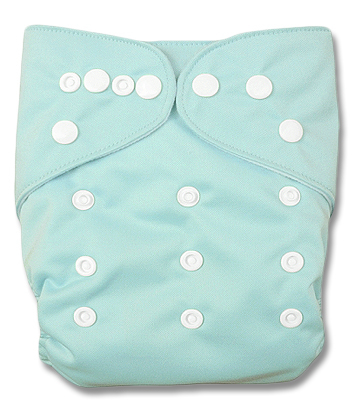 This does not happen when using fitted nappies and flats since they keep themselves in place around the bum. 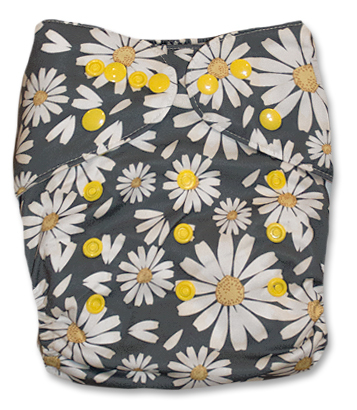 The high quality elastics and laminating used means we don't need to add double gussets to our OSFM covers. 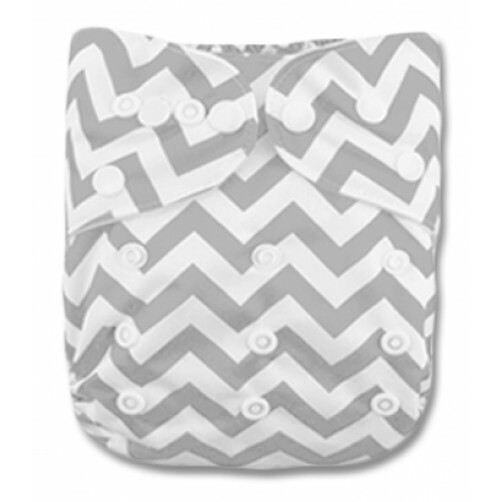 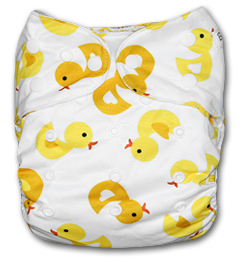 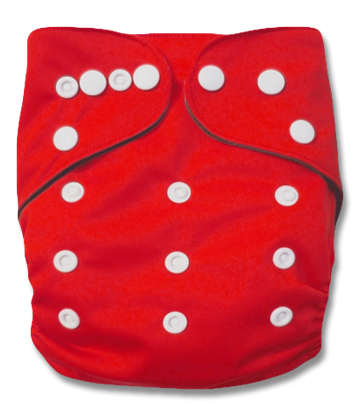 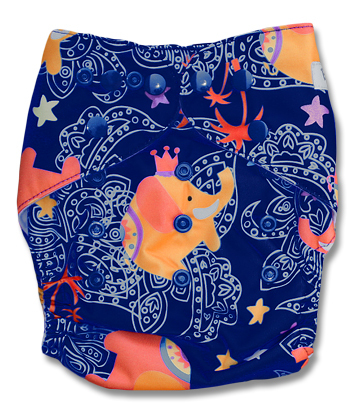 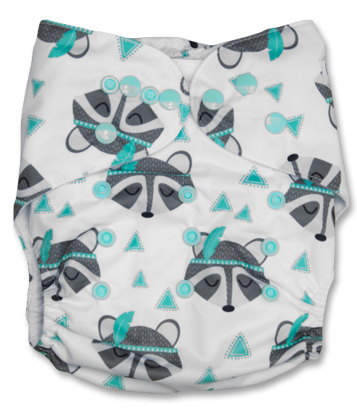 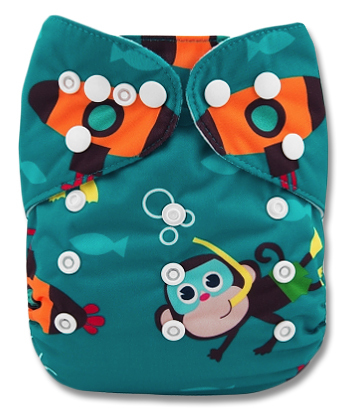 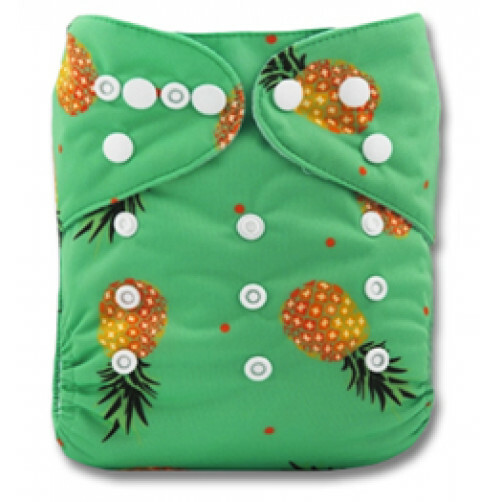 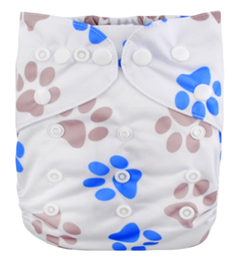 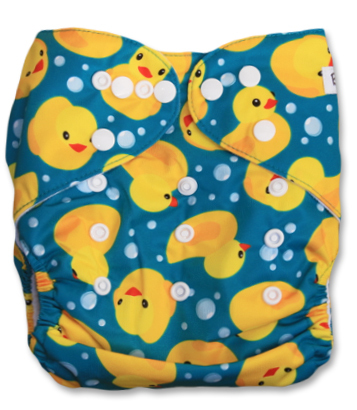 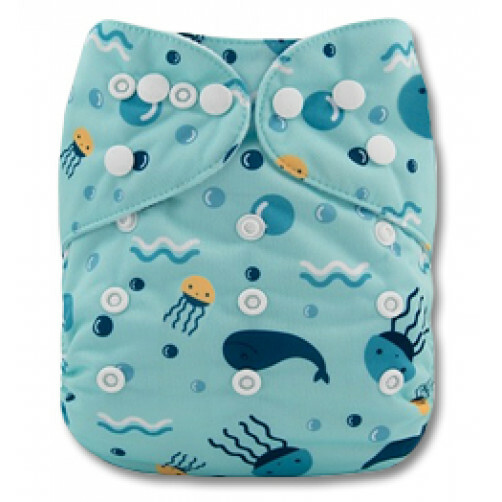 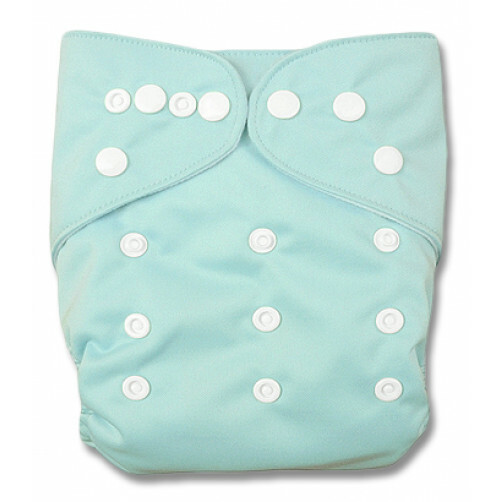 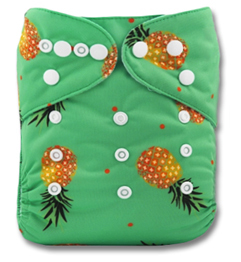 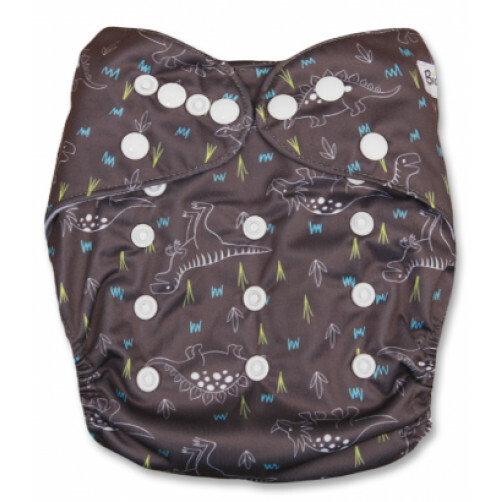 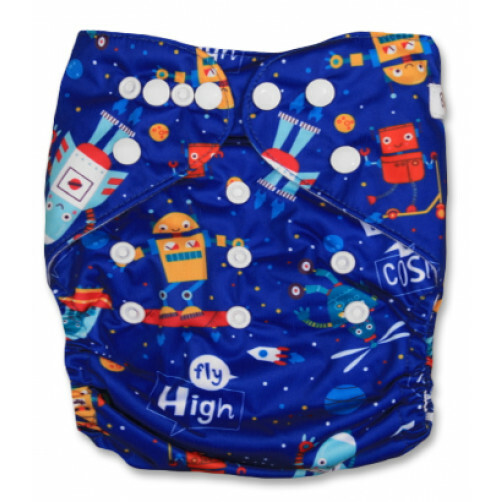 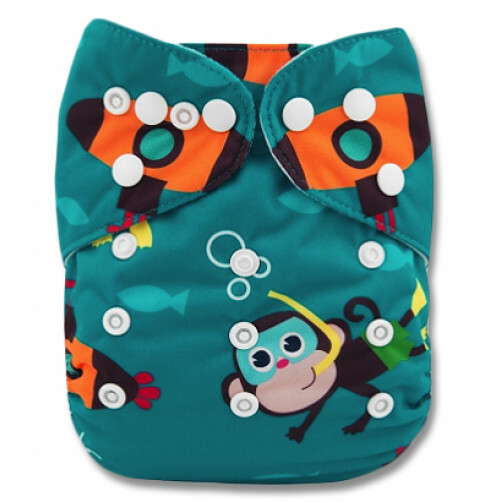 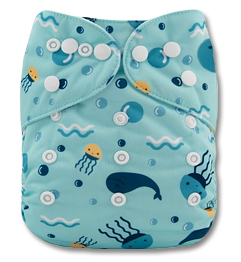 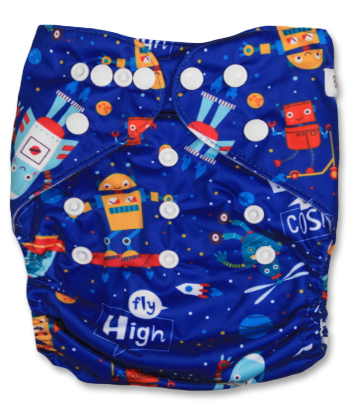 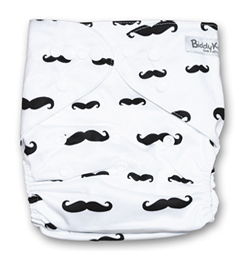 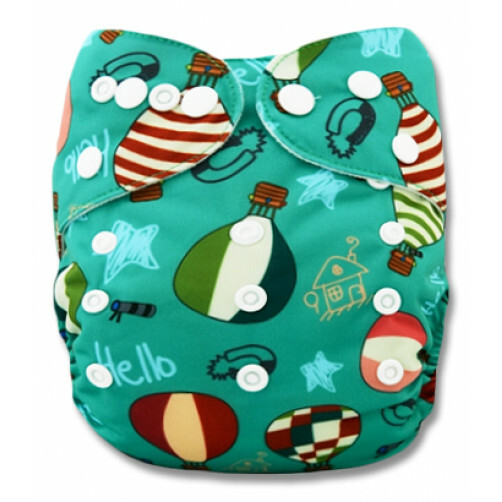 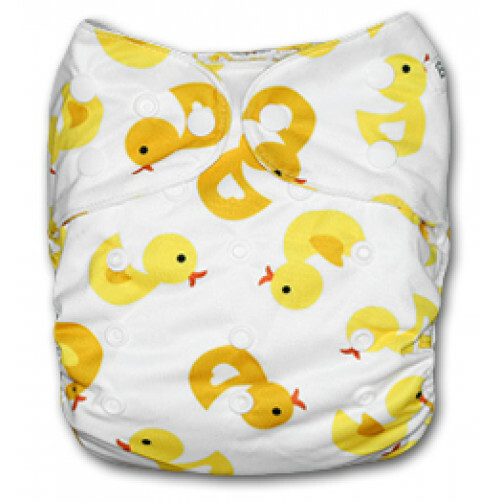 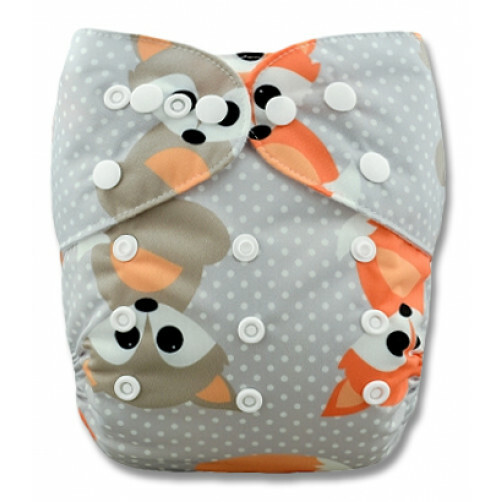 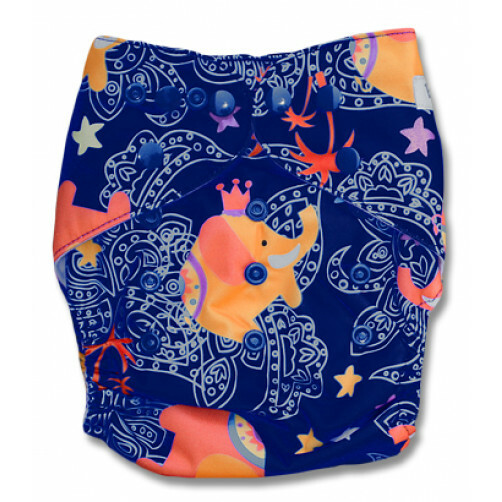 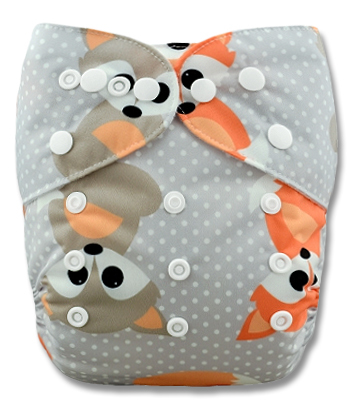 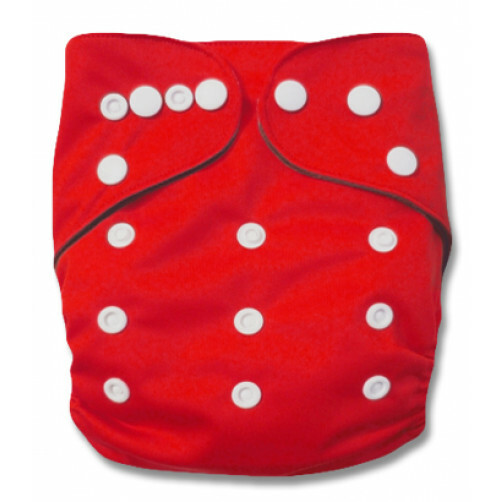 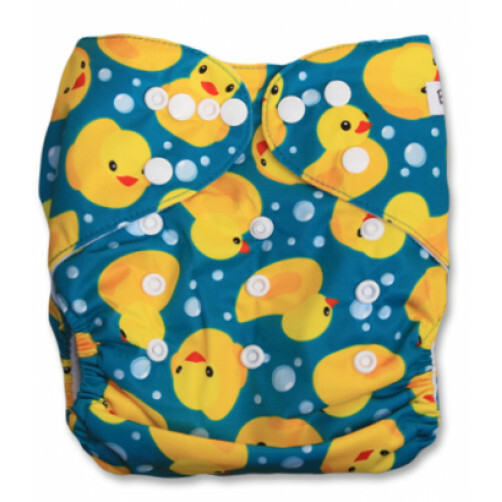 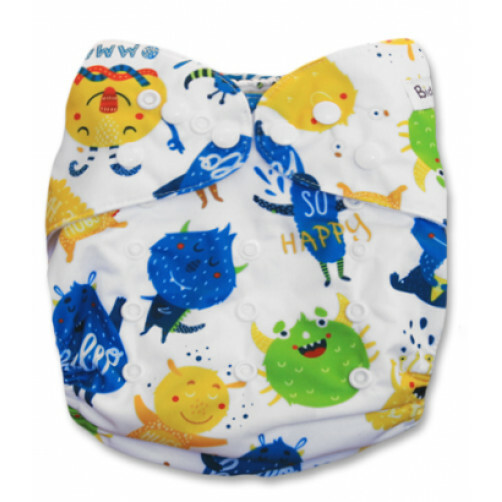 Double gussets, in our opinion, pull too tight around the little one's legs as they get older and simply aren't needed when the correct absorbent layers are used with the cover. 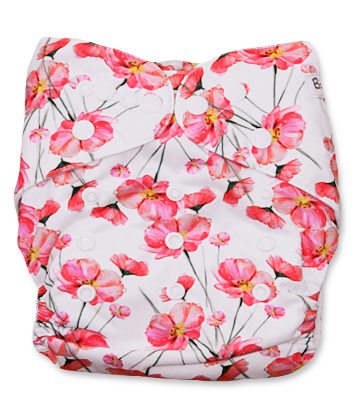 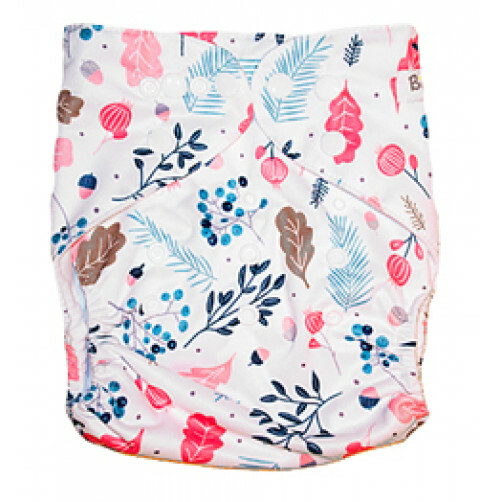 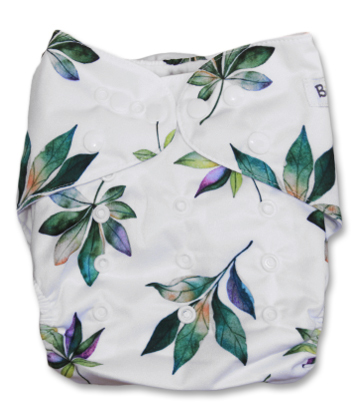 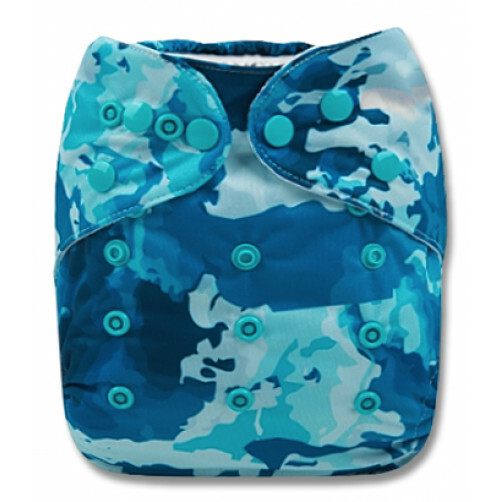 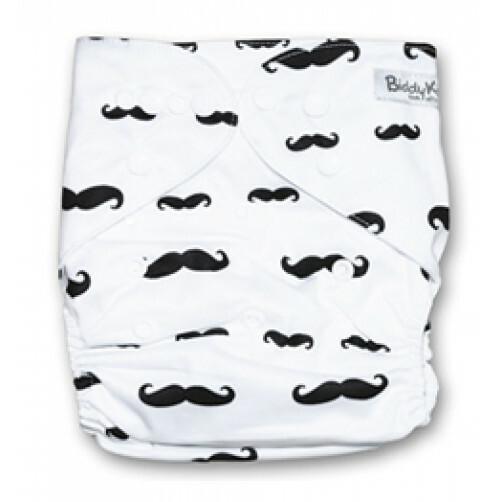 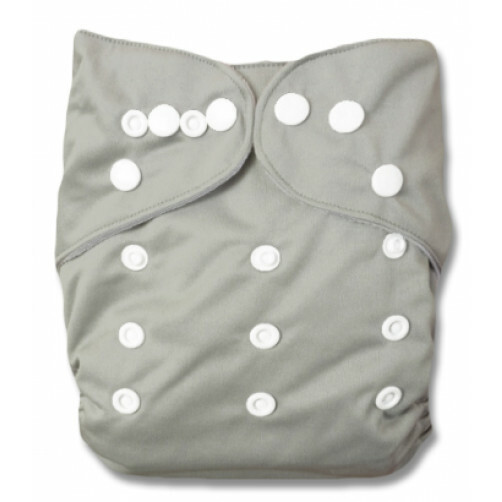 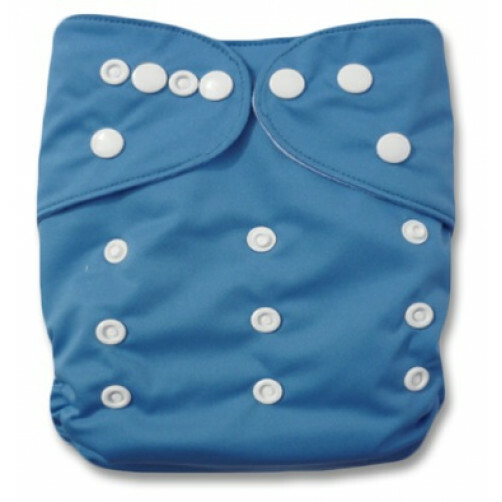 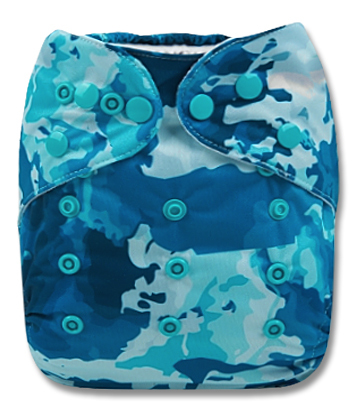 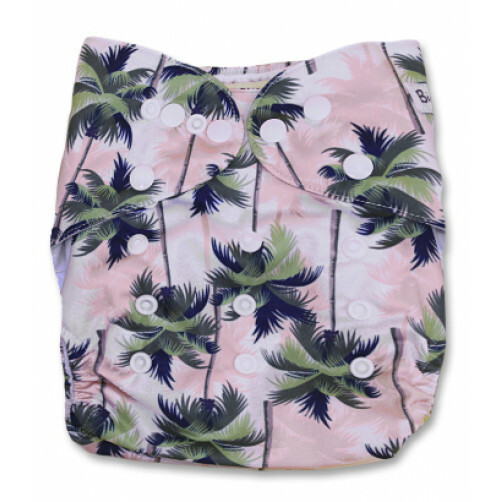 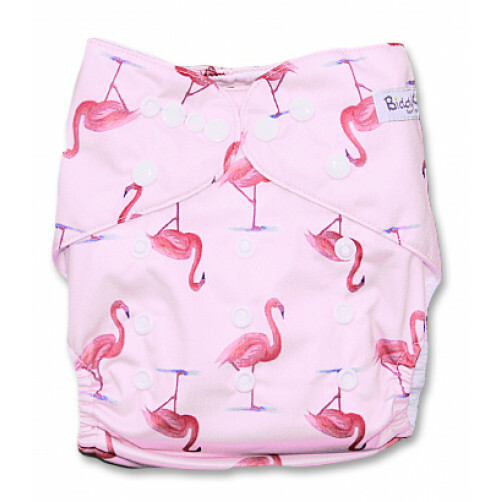 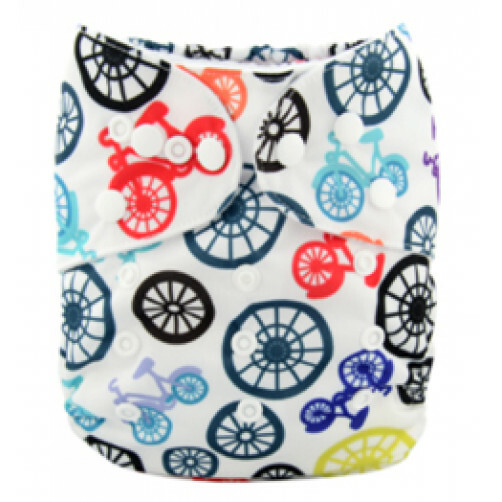 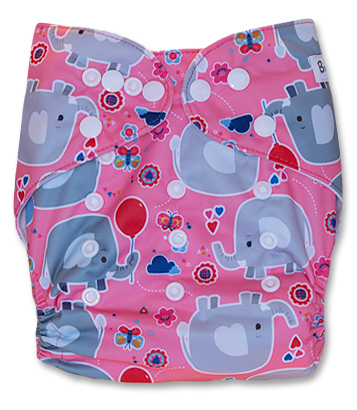 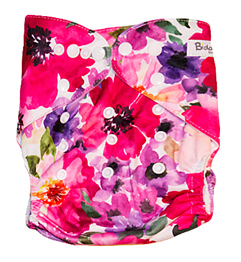 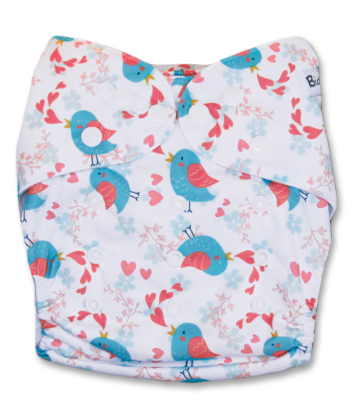 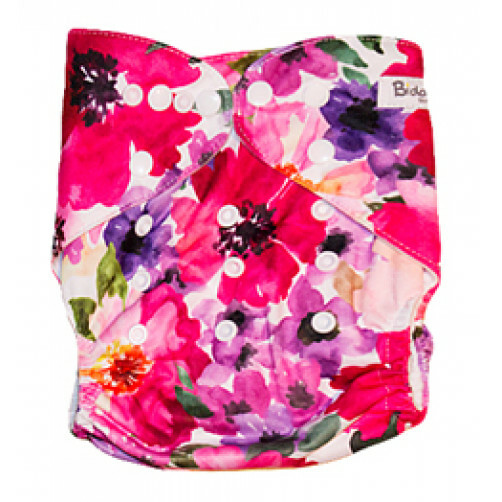 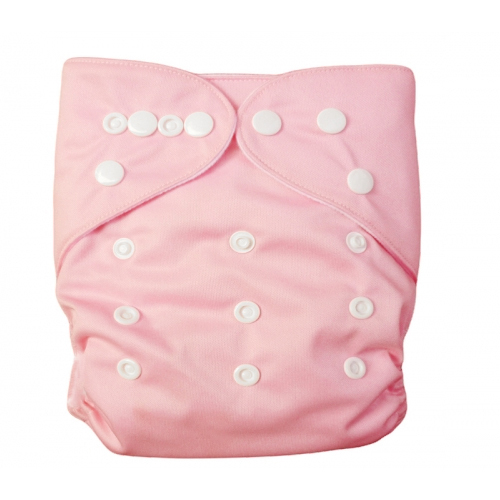 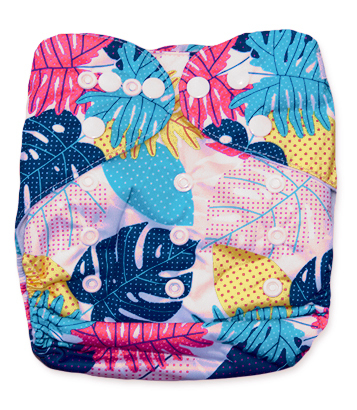 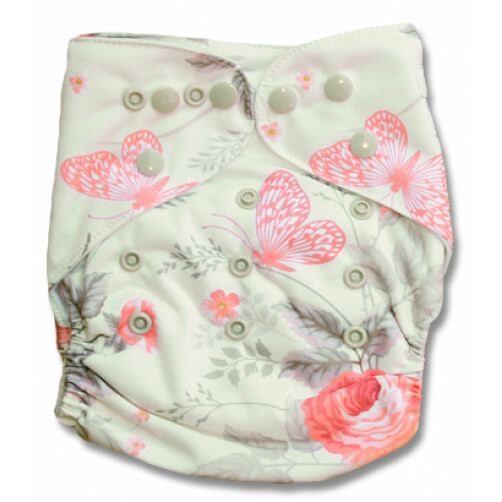 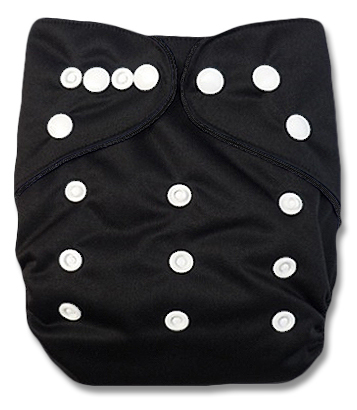 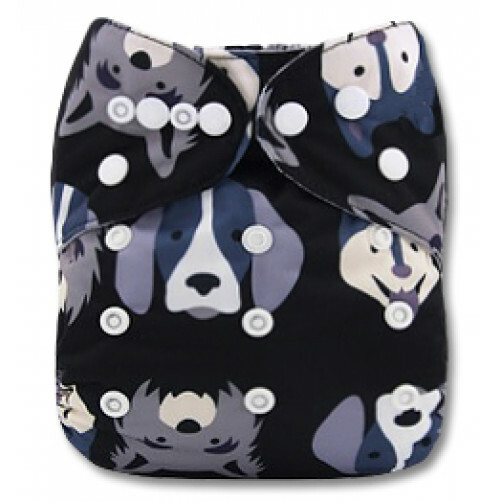 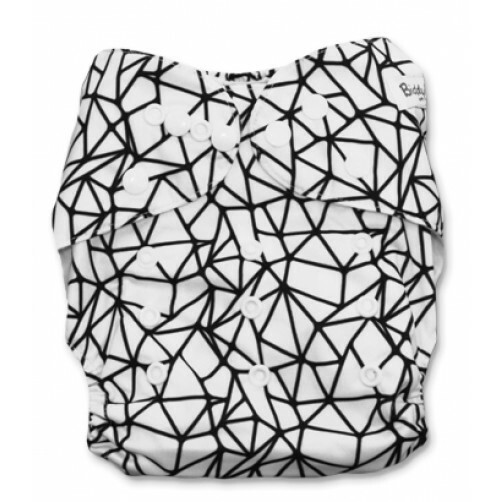 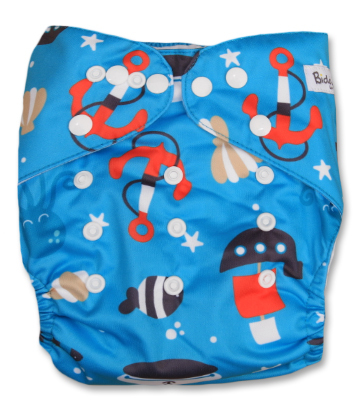 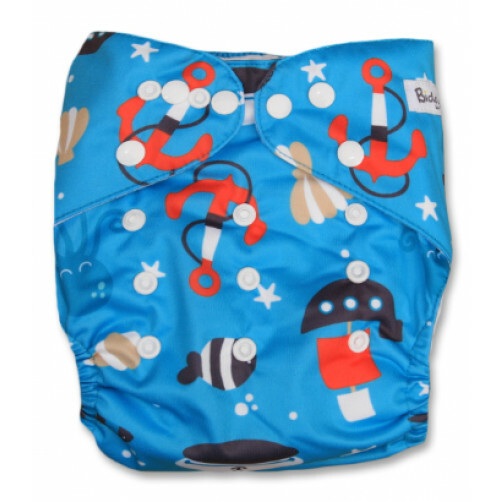 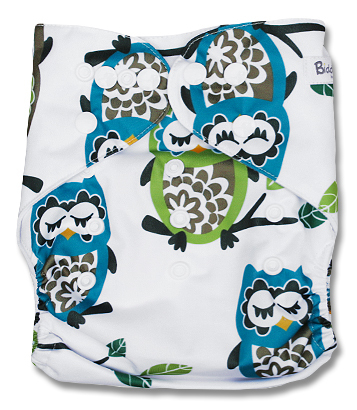 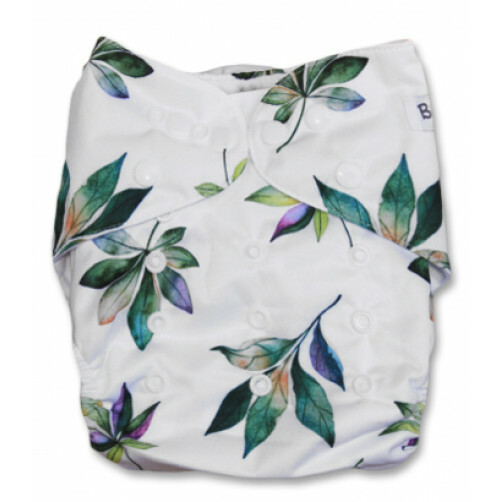 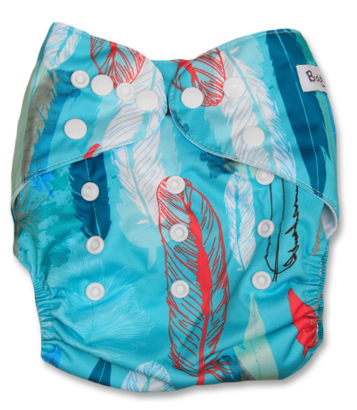 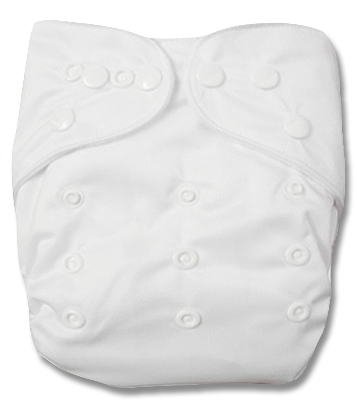 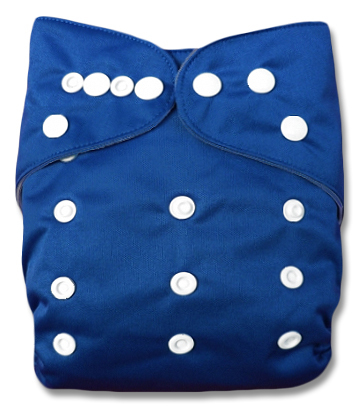 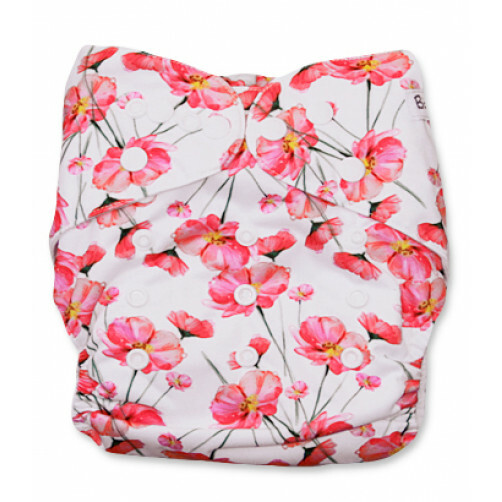 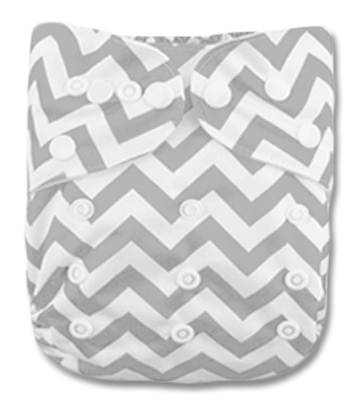 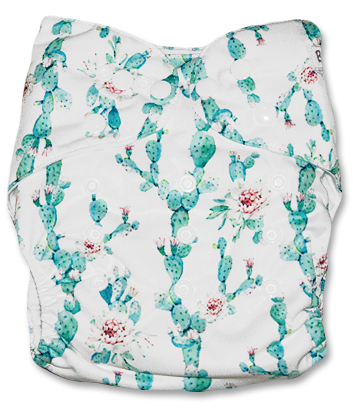 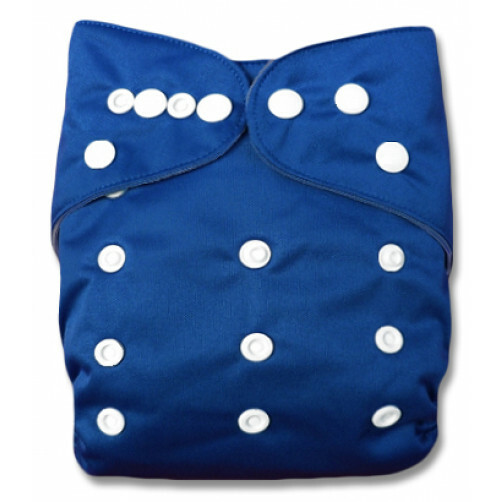 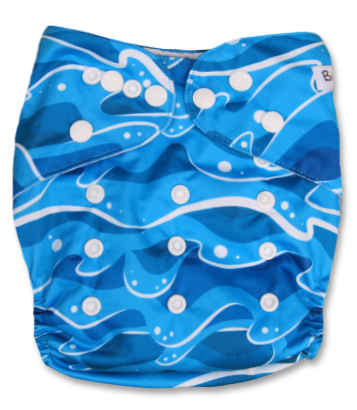 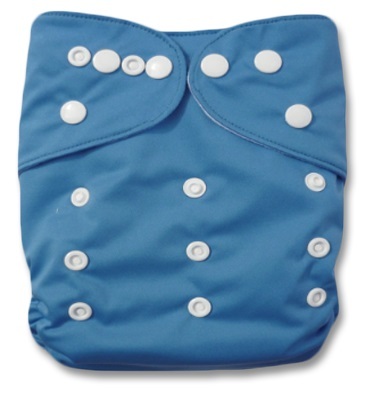 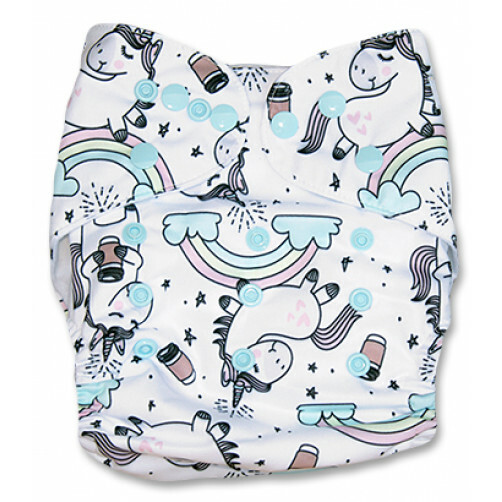 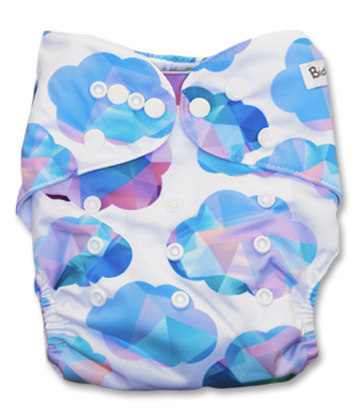 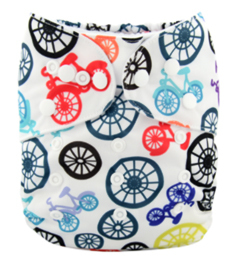 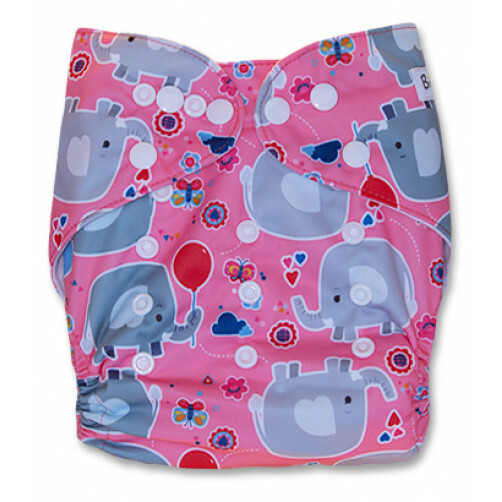 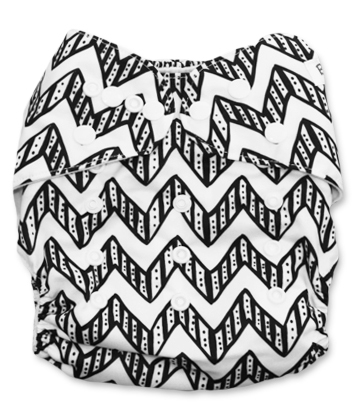 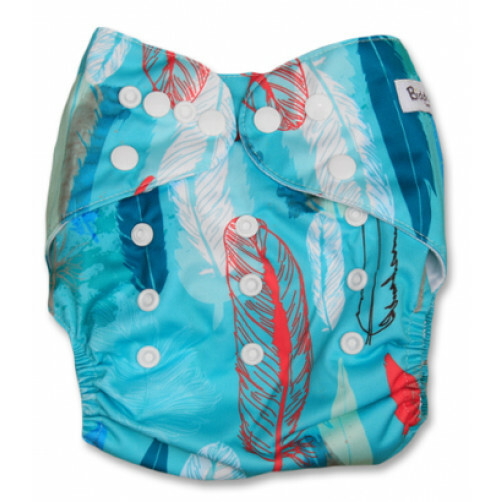 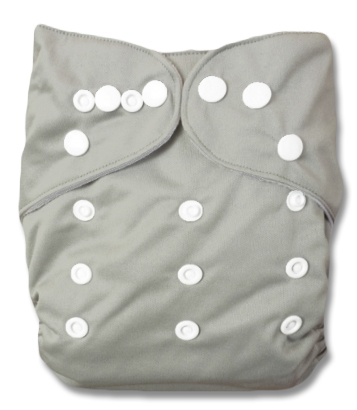 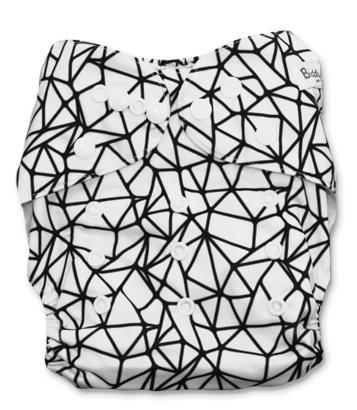 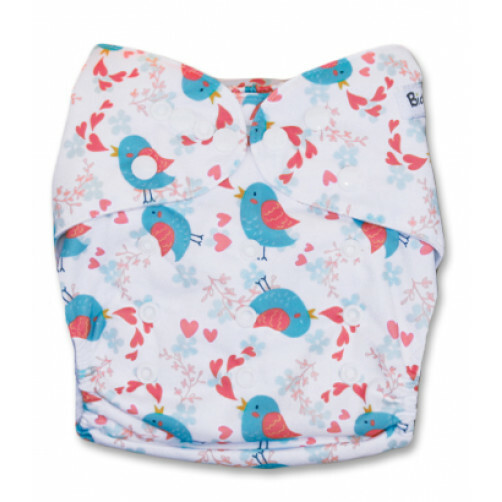 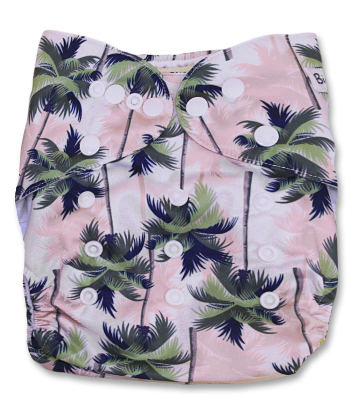 The BiddyKins PUL cover is designed to be a little larger than a standard pocket nappy, allowing the cover to fit correctly over our bulkier BiddyKins Fitted Night Nappy. 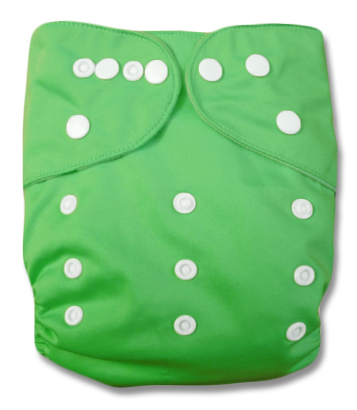 Ideal for use with fitted nappies, flats, tri-folds etc. 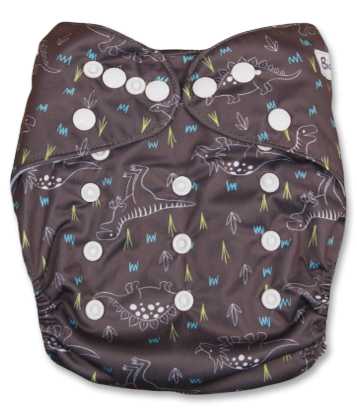 Important to note: Since there is no lining to protect the laminating layer, never leave the cover drying out in direct sunlight for too long. 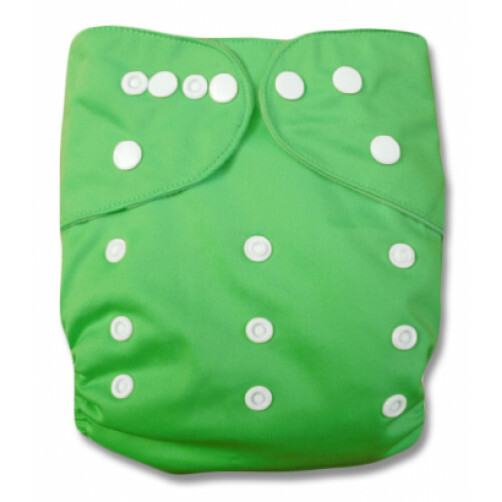 Since there are no absorbent layers attached to the cover it will dry very quickly and should rather be kept out of direct sunlight which can cause the PUL to delaminate and permanently damage the cover.